Every attempt will be made to get your orders out as quickly as possible. In the event that an item is backordered or that a request for next day air or 2nd day air cannot be fulfilled, we will contact you prior to shipping. All in stock orders received after 2:00PM eastern time will be shipped following day. All packages shipped via UPS or USPS. Some orders might be shipped directly from manufacturer. We have been having some requests lately to use client’s UPS shipping accounts instead of our own to ship their product. 1.) Some of our product is not shipped from our location in New Jersey, but is drop shipped from other suppliers directly. Some of our vendors will not allow us to utilize third party shipper numbers. 2.) We have built the UPS shipping & handling costs into the online ordering process to simplify the process and keep prices low. Adding the extra customer service necessary to accommodate additional shipping requests (client numbers, Fed EX, USPS etc…) would cause us to raise pricing. 3.) UPS has cautioned us on accepting other UPS shipper numbers as fraud can occur and additional charges can be levied back to the original shipper. Your item must be in its original unused condition to be returned, unless there is a manufacturer defect. You must return the item within 30 days of your purchase. 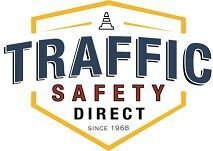 All returns must have prior approval from TrafficSafetyDirect.com. Unauthorized returns may be refused or returned at customer’s expense. Please call or email your request for a refund or an exchange to sales@trafficsafetydirect.com or 888-260-3246. We will assign you a RMA number to place on your package and return letter. Please include in your return a letter stating the reason for the return with your original receipt or packing slip. Please place your RMA number on the letter. Return shipping costs will be the responsibility of the Customer unless the return is the result of an error by TrafficSafetyDirect.com or due to a manufacturer’s defect. Refunds will be issued via the original form of payment. Shipping and handling are not refundable. Merchandise that has been worn, used or altered will not be accepted for return or exchange. Non-stock or custom items are not returnable. If your clothing item is in like new condition, you may exchange your clothing item for a different size, color or style. You will not be subject to a restocking fee in this case, but you still will have to pay return shipping. Please contact us as soon as possible via phone or email. We will cancel any order that has not been shipped. Unfortunately, once shipped, we cannot cancel the order and it must be handled as a return. Custom or special orders cannot be cancelled without prior authorization.